Start your Online Windshield Replacement Quote or Insurance Claim Now! Don’t put yourself or your family in harm’s way when you’re on the road; make sure that you only drive with a clear field of vision from an unblemished windshield. Windshields that have cracks, chips and other defects have been directly tied to many accidents due to the reduction in vision, and they also compromise the structural integrity of your vehicle, especially in a rollover accident. If you really want to be safe on the road, you must consider windshield replacement and auto glass repair options in Apache Junction, Arizona. 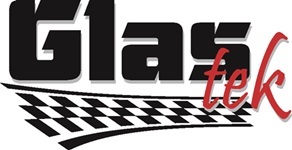 Fortunately for you, we can offer all of the services that you need here at GlasTek.com. We’ll send someone out to Apache Junction at absolutely no extra cost to you, and he can analyze the damage and decide exactly what’s needed. If a quick repair is possible, we’ll start there; this can often be done when you just have small chips and you want to make sure that they don’t start spreading and turning into full-fledged cracks and spider webs. If the damage can’t be repaired, we have some of the best Apache Junction auto glass replacement specialists in the business. Our mobile units can work on your car right on the site, so there’s no need for a tow to bring it to our shop. They’ll have the old window out and the new one in faster than you ever thought possible, and your car will be as good as new. You should know that we always stand behind the work that we do 100 percent. We have lifetime warranties that give you the promise of security for as long as you own your vehicle. If you ever have a problem, we want you to know that we’ll be there to take care of it immediately. We want to keep you safe and keep your car in flawless condition. Call us today or visit our online webquoter for a free price, no obligation, fast, instant, easy, auto glass price quote. In addition, with any Apache junction windshield replacement installation you will get free lifetime rock chip repairs. So, if you pick up a rock chip after the replacement, just give us a call back and we will come back to Apache Junction to repair it for you for FREE. If you end up needing a new windshield or other auto glass replacement part in the future, give us a call because you have earned a 10$ REWARD from using is previously. That is an instant auto glass discount. If you choose to go through your insurance for your auto glass repair, we can help you with that as well. Glas Tek is a preferred Apache Junction windshield replacement & auto glass repair shop for many insurance companies such as: AAA, Hartford, Geico, USAA, State Auto, Progressive, Safeco, Kemper, Safe Auto and many more. 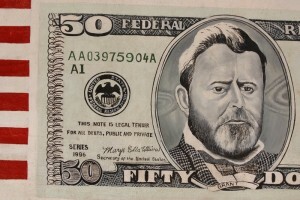 Plus, we will bring you $50 CASH on the spot with any approved windshield replacement insurance claim. We are approved and backed by your insurance company and honor all insurance contract pricing. So, what do you have to lose? Call us now, or file an auto glass replacement or repair claim online. Claims are fast and easy and we can answer any questions that you may have before the claim gets started. Claim processing takes about 10-15 minutes and we can get you scheduled for same day service to Apache Junction in most cases. We’ve been doing this for almost a decade now, and our owner has been working in the industry for more than two decades. She’s a true professional, and we bring an incredible amount of experience to every job. If you’ve been riding around with a broken or cracked window, or even if you just have a minor chip that’s beginning to spread, please get in touch with us today. Remember, there is no fee to have a Glas Tek mobile unit come out to Apache Junction for a full windshield replacement or for top-notch auto glass repair work. In the counties of Pinal and Maricopa lies a great city called Apache Junction. 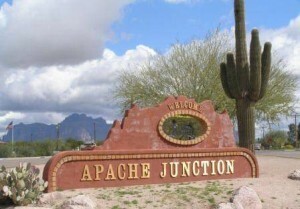 Apache Junction is named for the junction of the U.S. Highway 60 and the Apache Trail. Near Apache Junction is the Superstition Mountains and the westernmost peak. As many can tell in the last decades Apache Junction had quite the population explosion, in the 1970’s AJ had the miniscule population of just 2,400 citizens in their community. In the years of the 1980’s they had the population of almost 10,000! In the 90’s Apache Junction had almost double the amount of citizens they had in the decade before, they had the population of 18,100. Now close to 19,000 residents may seem to be not that many citizens for a city in the state of Arizona but you may have to factor in how much it grew in the last couple decades to take that into consideration. Now factor in what it has today, in this century, today Apache Junction has over 32,000 residents in just three decades before now just had less then 3,000 people living in it. The population of the city spread out a great deal, twenty point five percent under the age of eighteen, six point nine percent from eighteen to twenty four, twenty three point six from twenty five to forty four, twenty three point six from forty five to sixty four, and twenty five point three who where sixty five years old or older. What does this all mean besides there has been a huge expansion in the number of people who became apart of the community, it also means there is a lot more female population then male. The best way to prove this point is to give some statistics, for ever one hundred females age of over eighteen there was only ninety three males. Other then population, there are some other statistics about this fine city you may find interesting. The average income for a average house owner in the city of Apache Junction is thirty three thousand, one hundred seventy thousand. The medium income for a average family in this city is thirty seven thousand, seven hundred, and twenty six dollars. So if you are male and you are interesting in dating it seems to be a pretty hot place to be.